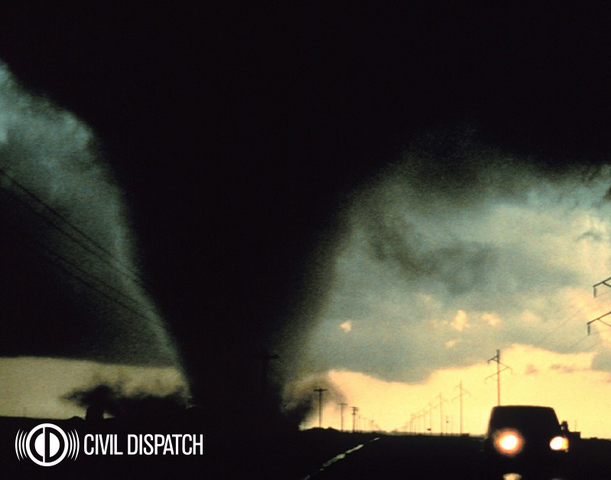 Tornado season is upon us, and instead of informing you how to prepare for them like we did in “Touched Down Without A Warning: How To Prepare For A Tornado”, we thought that we would recap a few of the deadliest tornadoes to touch down in U.S. history. This tornado currently holds the U.S. record for longest track (219 miles), most deaths in a single tornado (695) and most injuries caused by a single tornado (2,027). It crossed a span of three states, which is where it gets its name. The tornado tore through a total of thirteen counties in Missouri, Illinois, and Indiana. In 1840, a mile-wide tornado tore through Natchez, Mississippi, just 150 miles north of New Orleans. The cyclone caused 317 deaths. It first touched down approximately 20 miles southwest of Natchez and made its way northeast towards the town. The town was essentially destroyed by the twister, especially the central and northern parts of town. This tornado remains the third deadliest tornado in U.S. history. It struck the on the afternoon of May 27, 1896, nearly 120 years ago. The tornado was on the ground less than thirty minutes before it killed 225 people, injuring 1,000 and rendering many of the city’s families homeless. In 1936, two small towns in Mississippi and Georgia were simultaneously devastated by tornadoes. A total of 466 people were killed over four days of continuous twisters and an additional 3,500 were injured. The Tupelo twister was estimated to be rated an F5, which is the most destructive class of tornado. One notable survivor of this natural disaster was one-year-old Elvis Presley, who was born in Tupelo. This tornado is considered to be the longest, widest, and most destructive ever to have occurred in this part of the country. It ripped through three states in killing 169, injuring 980 and causing $9,700,000 in property damage over a 221-mile long path. In 1947, this cost was astronomical. In the city of Woodward, over a hundred city blocks were demolished, and practically all of Higgins and Glazier were destroyed as well. The tornado that struck Joplin, Missouri on May 22, 2011, killed 158 people and injured more than 1,000. At its peak, it was up to a mile wide with winds in excess of 200 miles per hour and lasted a total of about 38 minutes. Close to 7,000 homes were destroyed, not including businesses. If you haven’t already, sign up for text messages from Civil Dispatch to get up-to-date information on threats and severe weather in your area!